Mango Maids uses eco-friendly products and state-of-the-art carpet cleaning technology to professionally clean carpets and remove unwanted stains. There are numerous dangers associated with dirty carpets, bugs, mites, bacteria and dust reside in the carpet and create allergens and an overall unhealthy environment. Contact the team at Mango Maids today to schedule your carpet cleaning consultation! Carpets represent warmth, comfort, and beauty in residential and commercial properties alike. Carpets are meant to represent a welcoming feel to their respective room or area. Though a dirty carpet is can often make the carpet create the opposite effect for building residents. Dirty carpets look unpleasant as well as can provide a variety of health risks. Don’t let your carpet area become a hub of unpleasant visuals and serious health issues. 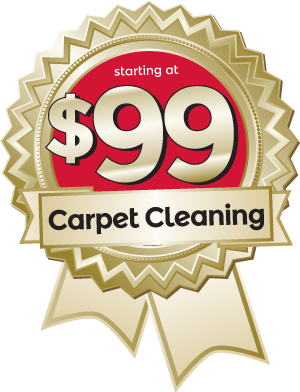 Utilize professional carpet cleaning service to ensure that your carpet space is safe, welcoming and visually pleasing. At Mango Maids we utilize an eco-friendly carpet cleaning process and skilled carpet cleaning contractors to leave your carpet are spotless. No matter what the stains, smell, dust or carpet issue, Mango Maids is here to return you carpet area to a welcoming, pleasant and safe space! Abundantly dirty, stained or dusty carpets and rugs can cause a range of potential health risks. Dirty carpets can cause skin irritation and infections. Dusty carpet spaces are known to commonly cause respiratory issues and promote allergies, due to the build up of bacteria and common allergens. Dirty carpets have been known to raise respective levels of stress for building occupants. Make sure your commercial or residential carpet stays clean with the professional carpet cleaning services offered by Mango Maids. Having your carpet completely cleaned allows for any stains, residual dirt from previous spills, dust, and other contaminants to be completely removed from the carpet area or rug. Professional cleaners have the equipment, knowledge, and skills to leave your carpet completely sanitized and aesthetically pleasing. The carpet cleaning experts at Mango Maids utilize a professional, efficient and eco-friendly approach to all our carpet cleaning projects. You can trust Mango Maids with all your residential and commercial carpet cleaning needs! At Mango Maids we value an eco-friendly approach to all our carpet cleaning processes. From our processes to our products and equipment, the team at Mango Maids is always doing what we can to make sure we maintain an eco-friendly approach with your carpet cleaning needs. Our eco-friendly approach is not only better for the environment but also helps to ensure the safety of all products used in the cleaning of your carpet. Contact Mango Maids today to learn more about our eco-friendly approach to carpet cleaning! Area rugs can quickly become dirty from spills, dust, and regular usage. Don’t let your beautiful area rug become an eyesore that breeds bacteria and poor air quality. Utilize professional area rug cleaning services to return your rug to a gorgeous and completely sanitized condition. The professional carpet and area rug cleaners at Mango Maids have what it takes to efficiently and completely clean your dirty area rugs. Call or email Mango Maids today to set up an area rug cleaning consultation! Stains can come immediately or after some time as a result of spills and long-term contaminants on the carpet or rug. Left unattended stains can grow in size and become worse in regards to bacteria present. Don’t let small spills turn into a potentially harmful mold in your carpet area. If you have any serious stains on your carpet or rugs, contact the professional at Mango Maids. We can work to completely remove your carpet stains and clean your carpet area with expert and eco-friendly approach! Contact Mango Maids today for professional carpet cleaning services – fill out your information below and our customer service team will be in touch with you shortly!